particularly the provisioning side as warehouses and supermarkets were blown away and some larger hotels have still not opened. This has changed the landscape in terms of which service businesses have reopened. As a result we have become much more self reliant and are importing fresh produce and seafood ourselves from Holland and other countries. We lost quite a lot of our equipment in the storm – tenders and centre console boats, vehicles etc and we have been really busy rebuilding our fleet.” Simon also lost key staff who decided to leave the island as a result of the storm. “Rebuilding our team has also been a huge focus and this was perhaps our greatest loss,” he adds. All the islands are keen to move on from the miserable memories and make it clear that the Caribbean is very much open for business. And in locations the hurricanes did not hit, such as Jamaica, Antigua and St. Lucia, prepping for the season involves, cleaning sprucing up, and painting. 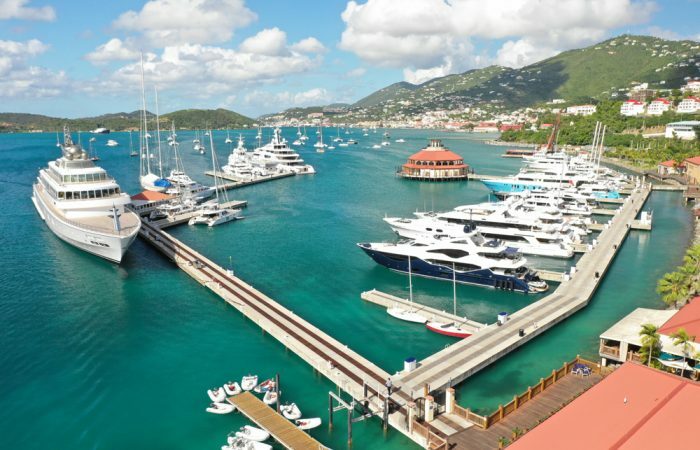 Marigot Bay Marina on St. Lucia recently completed a full marina upgrade which includes a brand-new Marina board walk which adds to the durability of the structure, and a redesigned bridge that connects the Marina to the Marigot Bay Resort. 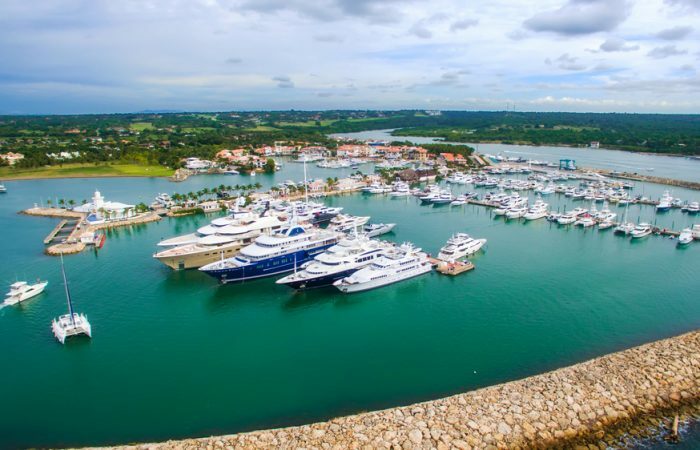 The island experts recommend visiting yachts stay in close contact with yacht agents in the areas they choose to cruise. 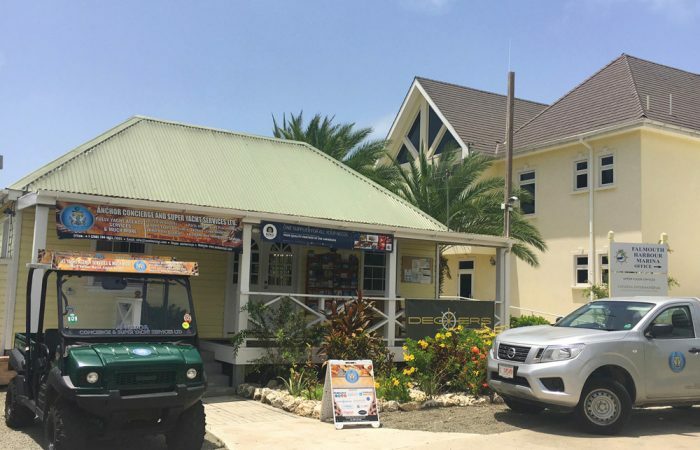 Says Simon Manley at Shore Support on St. Martin, “Weather is a huge factor in the comfort and enjoyment of guests and we spend a lot of time helping captains find calmer anchorages and adapting their itineraries on the fly.” And the other thing to remember is the paperwork. “Some boats make the mistake of assuming that checking into one island, especially in the southern Caribbean, automatically checks them into others. 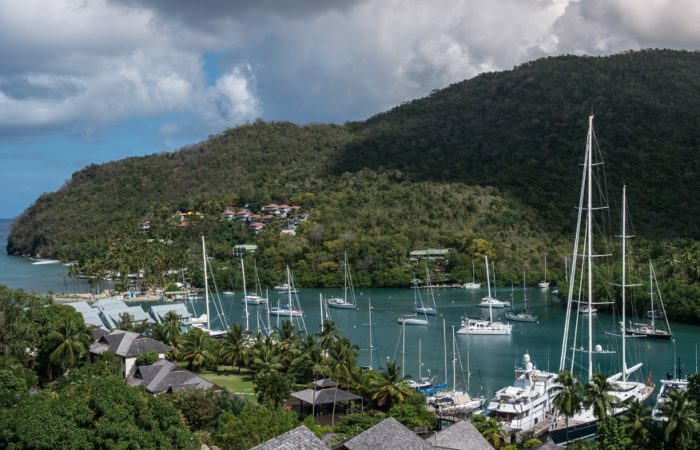 It’s important for captains to remember that most islands are independent sovereign states and the regulations for each port of entry must be respected to avoid penalties or fines,” explains Troy Blanchard at Marigot Bay, St. Lucia. Almost every stop on an itinerary involves clearing in and out of customs and Immigration, meaning you have to check in and leave each country at port of entry. 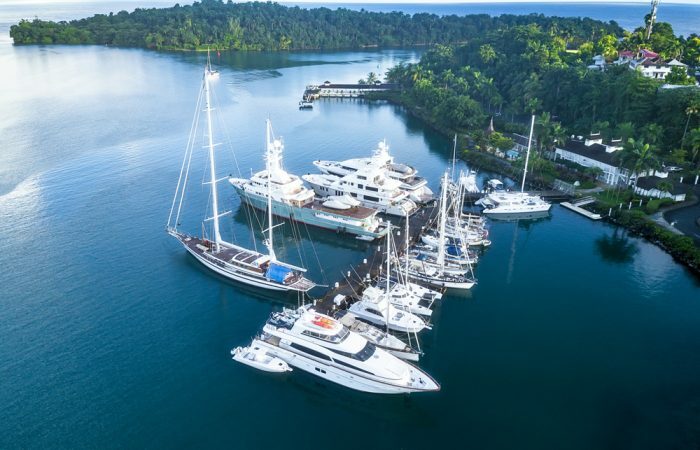 So Nick Line, Managing Director, at Anchor Concierge & Super Yacht Services Ltd, on Antigua suggests spending a few days around each island to cut down on time dealing with formalities. Samuel Andrews of Sam Taxi Tours Ltd on Dominica warns that yachts coming for the first time must be made aware that nationals from the following countries require a visa to enter the country: China, Syria, Lebanon, Iraq, Iran, Nigeria, Dominican Republic, and Jordan. All other paperwork would be normal. In Jamaica, Boaters will need to complete forms for the health/quarantine, immigration and customs department. However, these forms are all provided free of charge at the port of entry. Provisioning wise most agree with Nick Line at Anchor Concierge & Super Yacht Services Ltd who says that while shipping in provisions seems like an extravagance, a great deal of what is in the supermarkets on the islands, is shipped in by sea and so it’s a week old and subject to shipping costs and duty before it hit the shelves, so flying in high quality provisions that are two days old and duty free makes a lot of sense as it will keep longer onboard. Christine Downer,Marina Manager at Errol Flynn Marina & Boatyard on Jamaica says that dry goods are all available at the big chain supermarkets in Kingston and can be easily had with a local driver. She would encourage yachts to bring specialised fish that is not in Jamaican waters (example: Atlantic salmon) with them as it can take some time to import due to the nature of the goods. Knuckling down to the yummy stuff these locals offer up their favourite, un-missable bits of their island lives. “My father’s grand parents were Irish folks who were sent to the sister island of Montserrat to oversee a plantation,” explains Andrew Cobra O’Brien of Cobra Tours/Dominica Yacht Agency. “My dad boarded a banana boat and came to Dominica as a young man..met my mom whose parents were descendants of Africans (who were brought to the island to work the plantations) and Kalinago (Carib Indian who came to the island by choice from being hunters and gatherers or nomads, back then coming from south east Asia in the late 15th century)...and boom... here I am! Ever since he has been on this island. O’Brien’s favourite spots include: Prince Rupert’s Bay, Mero Bay, Champagne Beach Bay on the south west coast of the island, south of the capital city of Roseau and immediately north of the boundaries of the (SSMR) Soufiere Scottshead Marine Reserve.”What do I love most about my island? The nature and natural sites of the island..which sync with the friendliness of its people. The very strong heritage and cultural background that make us who we are!” You don’t want to miss the diving, snorkelling and whale watching in this spot of the world. Troy Blanchard, Marigot Bay Marina Manager was born and raised on the island. He’s expecting more than 150 superyachts ranging from 80’-240’ feet to visit Marigot Bay, with many more sailing along St Lucia waters. For him the most beautiful part of the island and a favourite spot for boaters is between the Pitons, the UNESCO listed twin volcanic cones on the south of the island, in Soufriere. 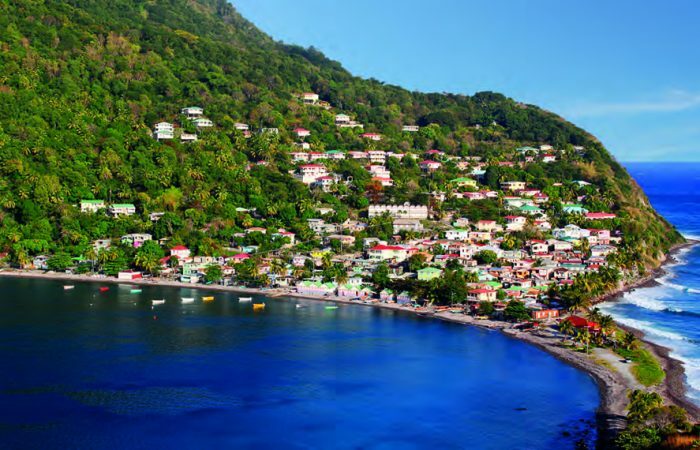 Many of the top recommended excursions are in Soufriere so it gives guests and crew the convenience of easy access to many of the top tourist sites. Soufriere is also home to the famous drive in Volcano. Another favourite location is Pigeon island to the north. 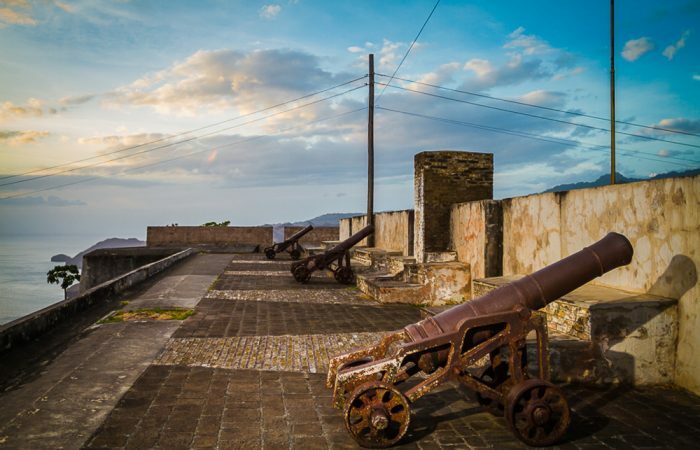 A short ride to the shore from anchorage gives one the opportunity to learn about the rich history and culture of Saint Lucia. Rodney Bay offers a lot in terms of night life and excitement. “Saint Lucia is called Helen of the West Indies for a reason. Its sheer beauty and fascinating culture, coupled with warm, friendly and genuine people make it stand out in the Caribbean,” says Blanchard proudly. 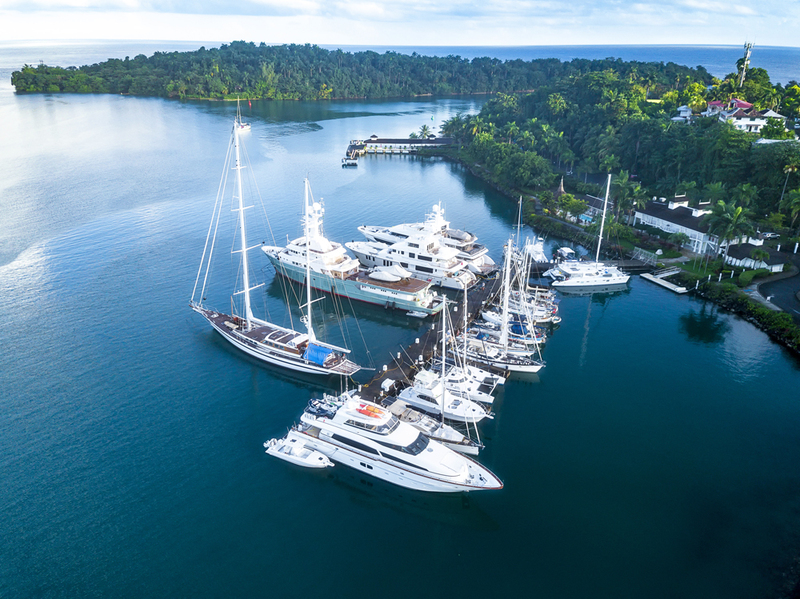 Christine Downer, Marina Manager at Errol Flynn Marina and Boatyard suggests treating Jamaica as a destination in itself rather than a stop-off and to include multiple Jamaican ports in the itinerary: Port Antonio, Ocho Rios, Montego Bay, Negril and spend 3-4 days in each port. If you are going around the Island get a cruising permit in advance from the Maritime Authority of Jamaica. Some of her top recommendations include: rafting on the Rio Grande, the view at the Blue Lagoon hanging out at Frenchman’s Cove beach, eating lunch at Boston Jerk Centre and touring the Blue Mountains. She says, “It all depends on what expectations visitors have before they get here. For example some must visit Bob Marley Museum because they know him for the reggae music, or see Tracks and Records because of Usain Bolt. 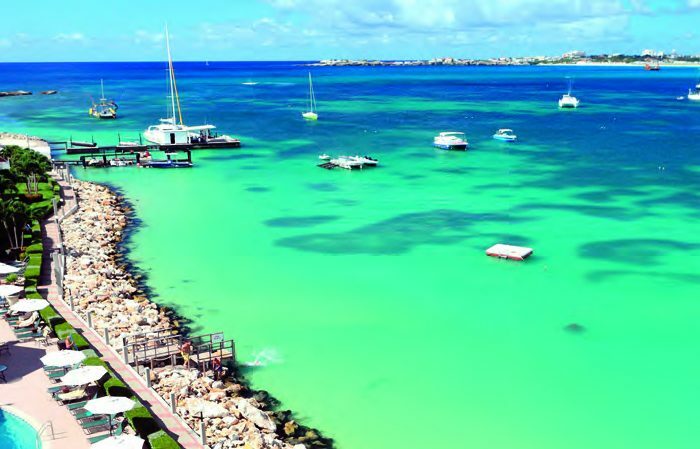 So there you have it - the lowdown on six of the top Caribbean islands. But that’s not even touching the tip of a palm tree of what’s on offer in the Caribbean Sea. There are more than 700 different Caribbean islands, islets, reefs and caves to explore across the three major island groups of The Lucayan Archipelago, and The Greater and the Lesser Antilles. So relax. Chill out. You’ve got seven hundred excuses to stay there for as long as you like.